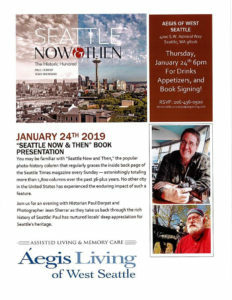 You may be familiar with “Seattle Now and Then,” the popular photo-history column that regularly graces the inside back page of the Seattle Times magazine every Sunday – astonishingly totaling more than 1,800 columns over the past 36-plus years. No other city in the United States has experienced the enduring impact of such a feature. 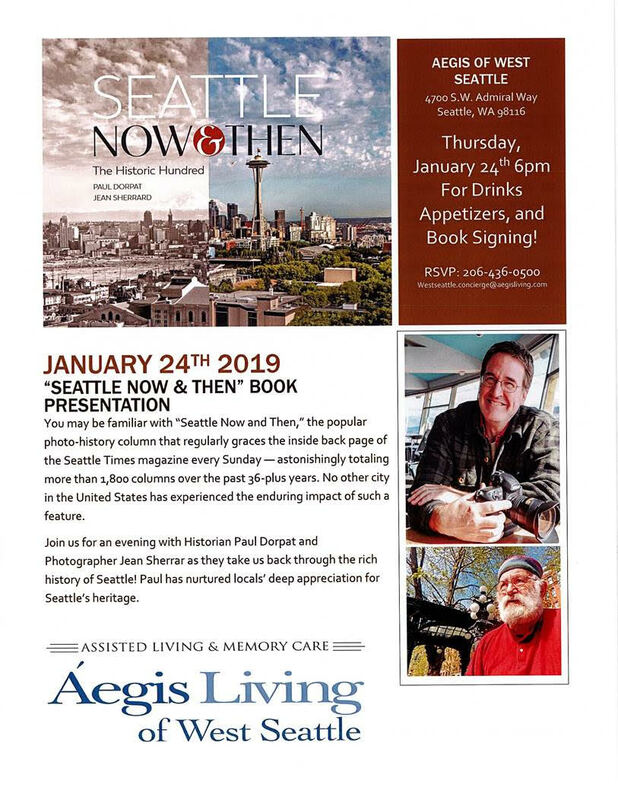 Join us for an evening with Historian Paul Dorpat and photographer Jean Sherrar as they take us back through the rich history of Seattle! Paul has nurtured locals’ deep appreciation for Seattle’s heritage.